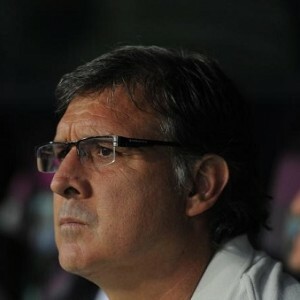 Gerardo Martino admitted his side were lucky to escape as they scraped a 1-0 victory against Malaga on Sunday. Adriano's curling strike in the shadows of half-time was enough to secure the three points but it might not have stayed that way were it not for some poor Malaga finishing and a strong performance in goal from Victor Valdes. Without the injured Lionel Messi, Martino said his players lacked their usual rhythm, particularly in the second half. "At times we weren't as effective as we could have been," Martino said.